Our apologies for the long gap between posts. There are a lot of things happening here but we feel that we have been literally run off of our feet with livestock, fences, fires, landscaping and etc. By 9 pm each evening, when the work is done, we are so tired that we go straight to bed. Some people have wondered about us taking on so many animals so soon. It seemed wise at the time, when we placed the orders, but once in a while we also question our sanity in having so many animals when we have so much other work to do on the property. 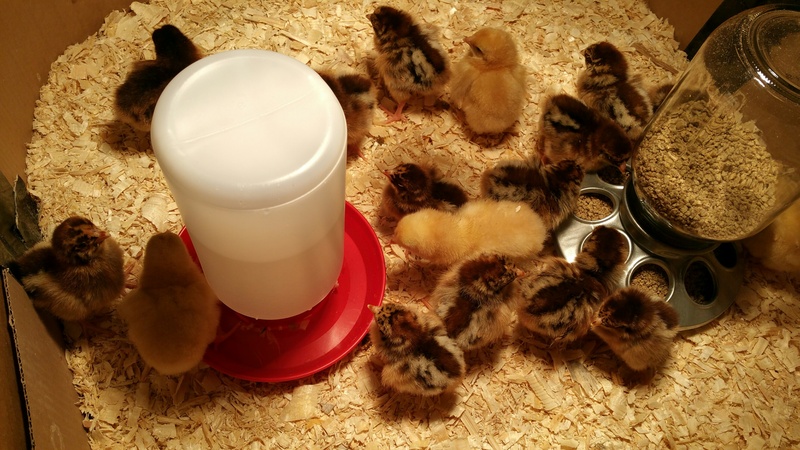 Most of the chicks, the brown ones, are Partridge Chantecler. 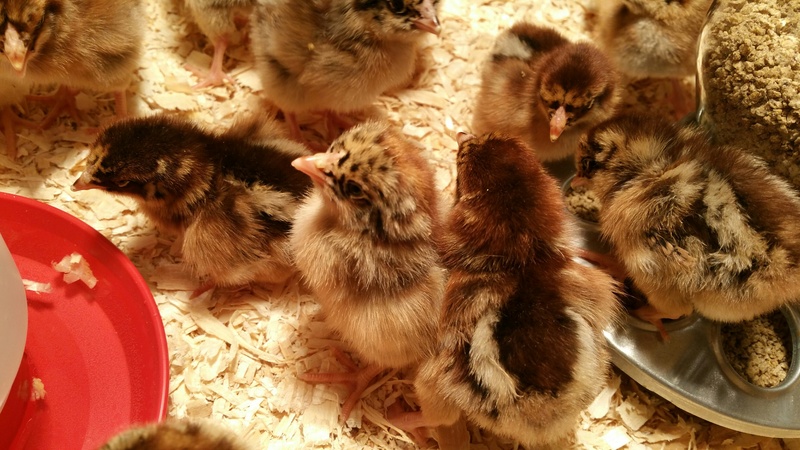 But they didn’t have the 20 of that variety that we ordered so they included 5 Buff Chantecler (the blonde ones). They are cute little balls of fluff but they eat a ton and, despite the special equipment, are able to dirty their water every hour or so. Just yesterday we devised our own waterer (a taller contained with another upside down conainer inside it) that stays much cleaner.